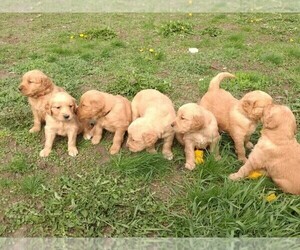 We have 5 male puppies available from our litter of 8 AKC Golden Retreivers. We own the mother and the father. They are our family pets and we have them OFA and Penn Hip certified in order to ensure they are healthy breeding dogs. The parents are fantastic family dogs and are great with our 4 young children. We breed 1 to 2 litters per year and own one other adult female. We have 5 males and 3 females but the females are reserved. 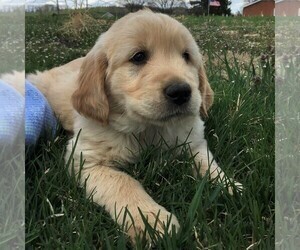 All puppies will be ready for new homes at 8 weeks old which is May 11th. They were born on March 17th. 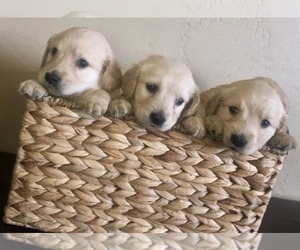 All puppies will be dewormed at 2, 4, 6, and 8 weeks and will be up to date on their vaccinations before going home. They come with a small crate for beginning crate training, a large bag of puppy food, a collar, registration paperwork, health records from the breeder and the breeder's vet, and OFA and Penn Hip documents for the parents. You can find us on Facebook by searching Our Golden Family LLC. Rusty is 3 years old. He is delightfully friendly and would love nothing more than to sit in your lap and have his ears rubbed. 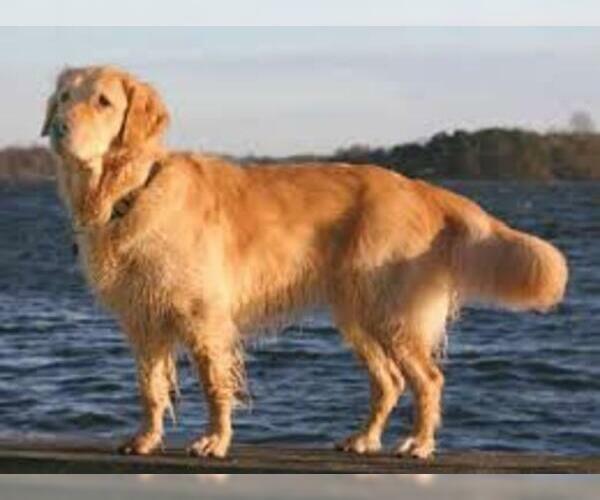 He is a reddish shade of golden and about 65lbs. Rusty has passed his Penn Hip and OFA certifications for heart, eyes, and elbows. Sadie is 6 years old. 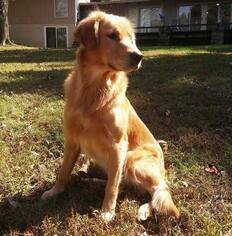 She is a sweetheart who enjoys chasing balls, swimming, and darting through the woods to chase deer and bunnies. 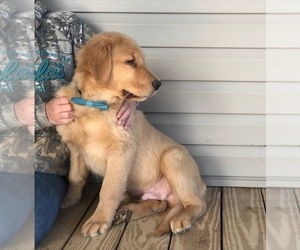 Sadie is a light golden and is a fabulous mama dog! She has passed her Penn Hip and OFA certifications for heart, eyes, and elbows. 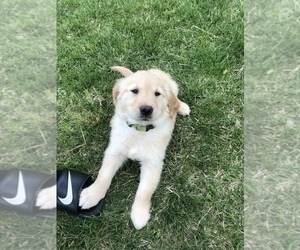 He’s 8 weeks old. Has a great playful personality. Please call or text for questions. Full registration. Parents on site. The smallest in the liter but adorable. Both parents weigh 85 pounds each . Doggy door trained. Loves, kids, cats, other dogs, and birds.